If you are a student looking for one of the best books on Cellular and Molecular Biology, you will love this article. Students who are taking courses in cell biology in the sophomore or junior level are often required to have the book by Janet Iwasa, Gerald Karp and Wallace Marshall. This article is focused on providing a summary of Karp’s Cell and Molecular Biology 8th Edition by Wiley Publisher. The definition of Molecular biology is the molecular study of living organisms, or, in other words, the study of living organisms at the molecular level. The overall field of study involves different studies such as biochemistry and genetics. Nonetheless, in order to continue into higher levels of molecular biology, students in their sophomore or junior years are required to take this course with the book in the title. 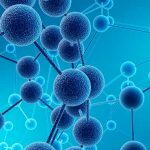 Specifically, molecular biology is taught in order to explore cells and their individual characteristics, as well as their parts and chemical processes. Inside Cell And Molecular Biology 8th Edition you will find chapters such as photosynthesis and the chloroplast, focusing on this part of the cell. In chapter nine of the book, the exoskeleton is the main focus. We’ve discussed why this book is important for courses in cell biology. This book continues to be the best out there and is required in most biology majors. What differentiates it from other books, is its ability to connect the concepts inside the book, to the experiments done outside of the book, in the lab. This allows students to connect with what they’re learning with a different understanding. It allows students to find out for themselves, why we know what we know about biology, and how we were able to come to such conclusions. Below is the table of contents for Cell And Molecular Biology 8th Edition. In conclusion, an explanation of cell and molecular biology and a sneak peek of the table of contents was provided for those who don’t know much about it, or are looking to study something different.